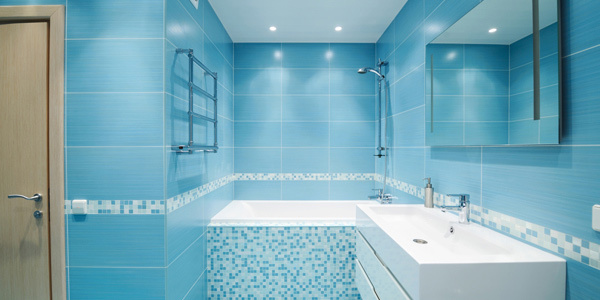 There could be instances when a homeowner decides to remodel their bathroom maybe because the existing one does not suit their needs or they want to integrate something new to the bathroom. Some merely want to update it with new designs and maybe add some items that they would need in it. But remodeling a bathroom needs enough time for planning and budgeting. It isn’t something that can be done hurriedly. So before you start the work, you have to prepare some things to make sure that your remodeling won’t fail. After all, you will not like it if some money and materials will be wasted. 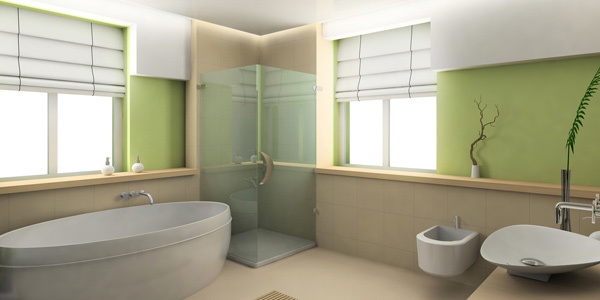 Today, we will give you some smart tips for remodeling your bathroom. In the end, you will be able to sum up the important things that you need to ponder on before the remodeling begins. Your budget will tell you what kind of items you can get for your bathroom. This will set limits on the prices of new items and this will also help you determine what certain work scopes you can do. This can also help you to decide which ones you can replace and which ones you can still retain. You can save a lot of money if you will try to salvage some existing items in your bathroom like the bathtub or the tiles. Just be sure that these are still presentable and functional. Even old vanity cabinets can still have a makeover and would look new with paint and other touches. 3. Acquire new items first. Before you take out the hammer and all the tools you need for work, make sure that you have completed the things that you will need. If you want a new bath tub, then it should be at your house already. Even the lighting fixtures have to be complete before you start working. This way, you won’t need to spend so many days just to finish the remodeling and you will be able to see the results right away and eventually be able to use it. 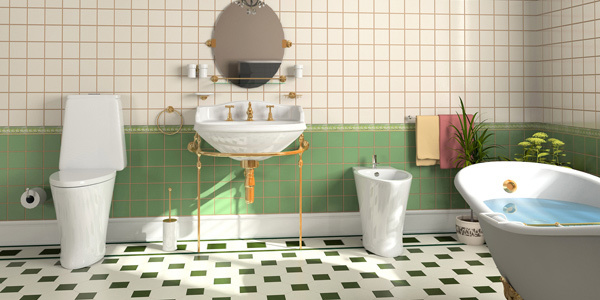 Since you are already remodeling your bathroom, why don’t you just add some greens into it? Aside from bringing in a few plants in the bathroom, you can also make use of eco-friendly materials. Another way of going green is to recycle old items like the example we have mentioned on the old vanity cabinets that would be repainted instead of being tossed in the landfill. 5. Search the items you need. Do not just get anything that you will see in a store. Make sure that it is worth the price and that it fits your budget. You should also look at the quality of the materials. It has to last longer so that you can make use of it for a longer time which means your remodeling is all worth it. Another good way to save money is to retain your plumbing. Instead of redoing the pipes and all, use the existing plumbing that you have. But you can also let the plumber check the pipes to make sure that everything is working well. If you do this, you will not just save money but you will also be able to lessen the work needed for the remodeling. One good way to update the bathroom is to change the hardware because these are the things that are obvious to one’s eye. This can even be cheap and easy for you. Change your faucet handles, drawer pulls, and shower heads into something different than the ones you used before. This can give a huge impact to the look of your bathroom without the need of spending too much. If you think you lacked storage areas before, then add some more. Just be sure that you will choose the kind of storage that does not eat up a lot of space like under the lavatory or wall mounted cabinets. When your bathroom stuffs are kept, you will have a well-organized bathroom and would make it look a lot better and neater. 9. Think of bathroom lighting. As always, the lights are important even for a bathroom. You can get lights that would fit into your bathroom’s motif and style. You can also add drama by placing a chandelier, wall sconces, recessed lights and others. This can surely update the look of your bathroom and would make it appear more relaxing and comforting. You wouldn’t want to stay in a beautiful bathroom with poor ventilation. So install a vent fan with appropriate CFM. The right value is one CFM per square foot for the bathroom’s one hundred square feet. You can get the newer models which are not just more stylish but are also quieter. Remodeling a bathroom would entail money same as how you would do a makeover in other parts of the house. But if you are smart, you can actually save a lot! Also, make sure that you have good planning and you are certain of what you really want for your bathroom so that you won’t be wasting your money. Want some bathroom remodel design inspirations? Check out our list of some bathroom remodel designs. 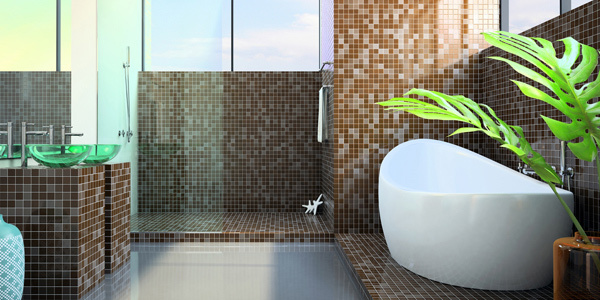 You can also look into other collections of bathrooms so you will be given ideas on what to do with your remodeling. 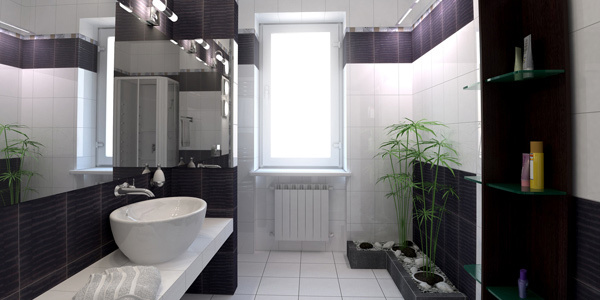 Think some significant considerations before overhauling the look of your bathroom. A viable bathroom outline might as well address all your necessities, physical and otherworldly. Making an improved shower isn’t just a liberality; it’s a keen thought, it is one of the best home change ventures you can make. When planning a restroom, take a seat and make a rundown of the aforementioned things you should have, those things that might be nice to have, and those things you don’t require. Look at additional tips on the best way to outline a restroom on a budget. I was trying to remodel about a year ago and boy was it a task.